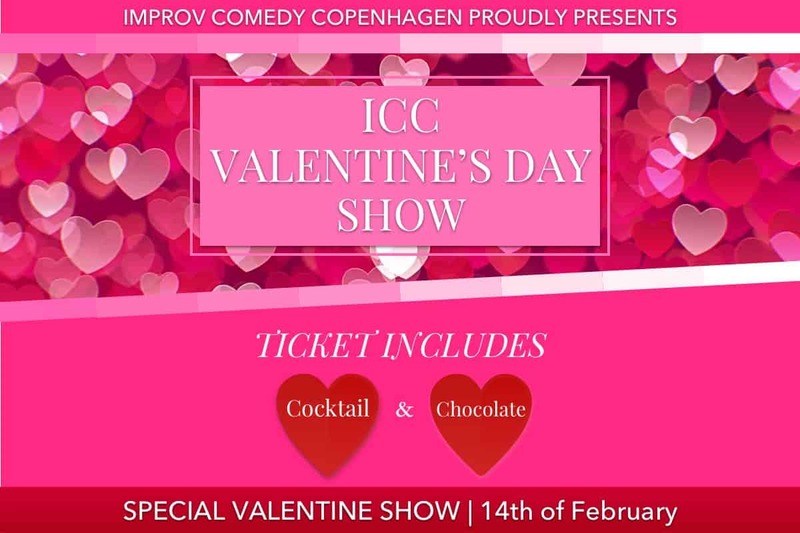 The ICC Theatre invites you to join us for a charming evening of laughter, chocolate and flowers that will fuel the fire of your love or ease the pain of lovelessness. Come celebrate Valentine’s Day with a hilariously fun improv show inspired by your loves, lusts, and romantic mishaps. Whether you’re looking for a unique date night or “flying solo,” with friends, this show is the perfect Valentine’s Day treat for anyone who loves to laugh. Our cast of experienced, professional, award-winning improv performers is sure to provide you with a hilariously entertaining evening inspired by your suggestions! Ticket price includes gourmet chocolate and a signature cocktail. Out of respect for the other show guests, please arrive at the theatre no later than 19:45. If you have not checked-in at the theatre by 20:00, your reservation will be cancelled and the ticket will be made available to the stand by line. Improv comedy is the skill of creating comedy shows in the moment, right in front of your eyes, without the benefit of a script. Each show is a unique experience, a different story never to be seen again. At the ICC Theatre, no two shows are ever the same. Each week the ICC Theatre features several different shows, all of them in English. The international cast of performers are graduates of the ICC Training Centre where improv training is available to anyone – from the absolute beginner to the experienced actor. Additionally, ICC has a department dedicated to producing events, workshops, team-building experiences and shows for businesses both within and outside of Denmark.